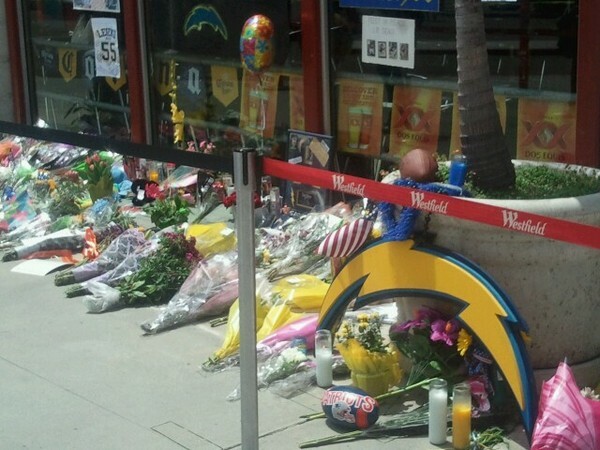 Seau’s restaurant here in San Diego is a Chargers fan favorite. Always has been. 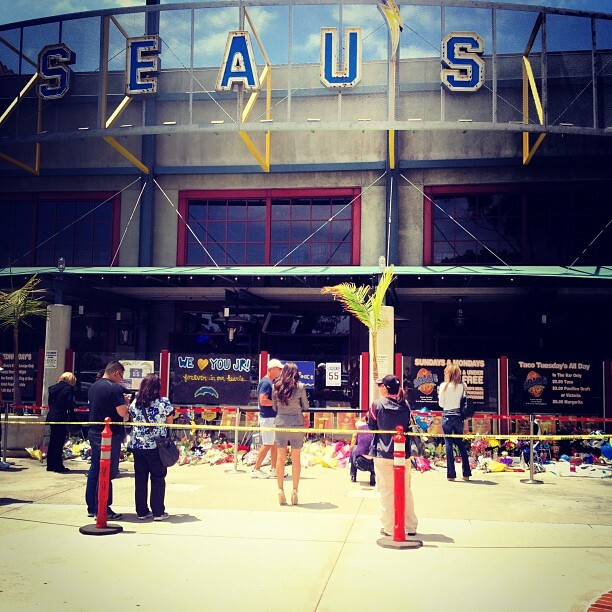 Fans have been paying their respects. 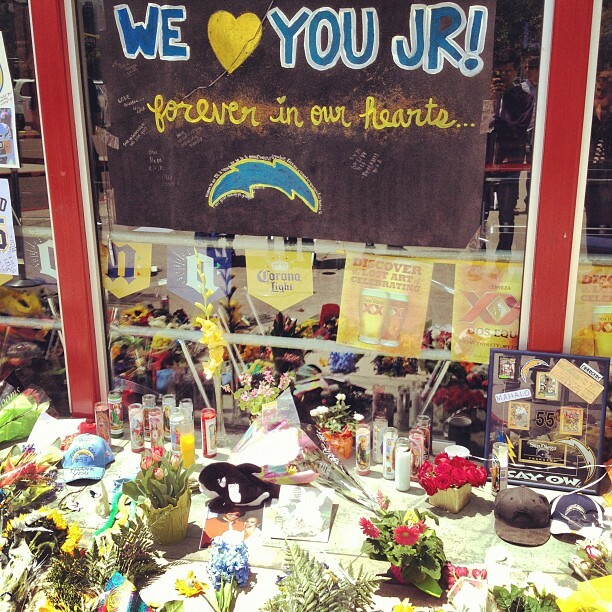 These photos were all taken May 3, 2012, around lunch time…the day after Junior’s death. Here are some close-ups. 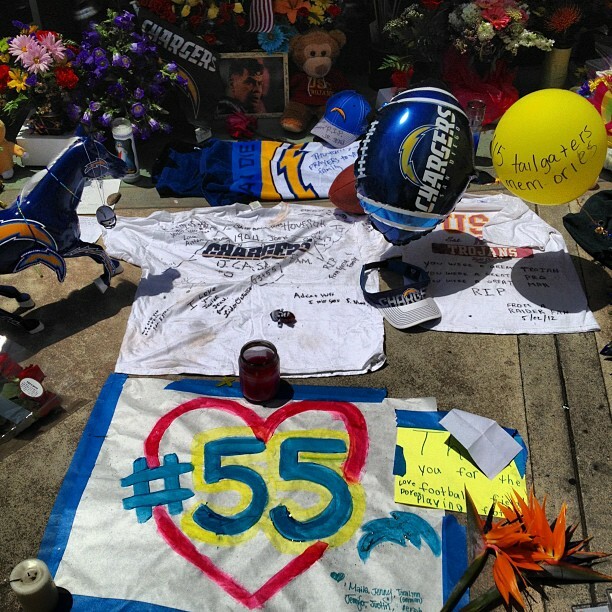 This entry was posted in Football, NFL and tagged Chargers, junior seau, junior seau memorial, seau's restaurant. Bookmark the permalink.